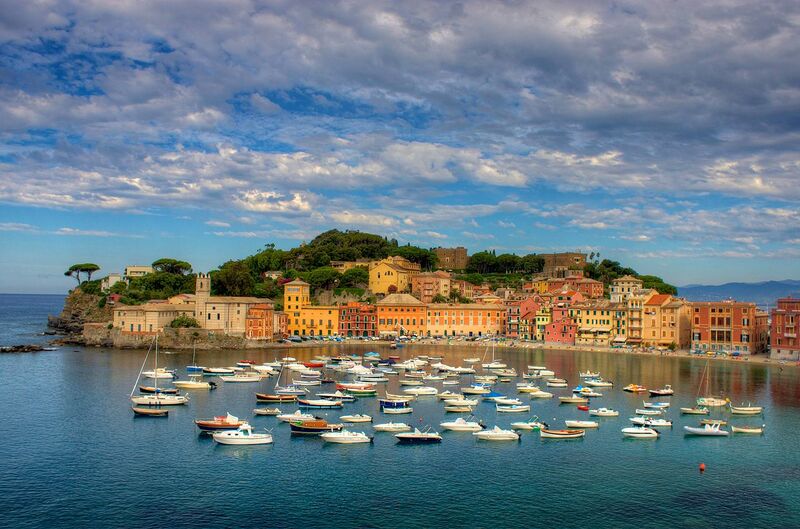 Only 2 kms from Hotel La Scogliera you can enjoy your first experience of a typical town on the Ligurian Riviera by visiting Sestri Levante, where you will find characteristic narrow streets, the sea and typical local food. In a panoramic location, between the Church of the Immacolata, right beside the Capuchin Convent, you will find the Baia del Silenzio that, along with the Baia delle Favole, offers fantastic views from its mixed sandy and shingle beaches where you will find free open spaces as well as private sections where you can hire sun-beds and umbrellas. Look out for the Andersen Festival, possibly the most important Italian festival dedicated to fairy tales and theatre for unconventional spaces– an event for all the family. This year is the Festival’s 49th edition and it will take place from 8-11 June. For further information, look up the Andersen Festival website.